Before you make own pizza dough, combine all dry ingredients (bread flour, yeast, sugar and salt) in a big bowl and start mixing. While you’re mixing, add the milk and 2 tablespoons of olive oil and keep mixing until the dough forms into a ball. When you think the dough is a bit too sticky, just add some more flour (one tablespoon at a time). If the dough is too dry, add some more milk. Once the dough is good to go, scrape it onto a floured surface and make it into a smooth ball. Grease the large bowl with 2 teaspoons of olive oil, place the dough in the bowl, cover it with a plastic wrap and put it in a warm area for about an hour. You will see that the dough has doubled in size! Divide the dough in two equal pieces, cover each with a plastic wrap again and let them rest for 10 more minutes. After this, it’s time to roll, shape and cover the pizza dough with anything you would like. It is important to use a floured surface for this! We recommend baking it at the hottest oven setting possible (550F) for 9 minutes. Bon appetit! 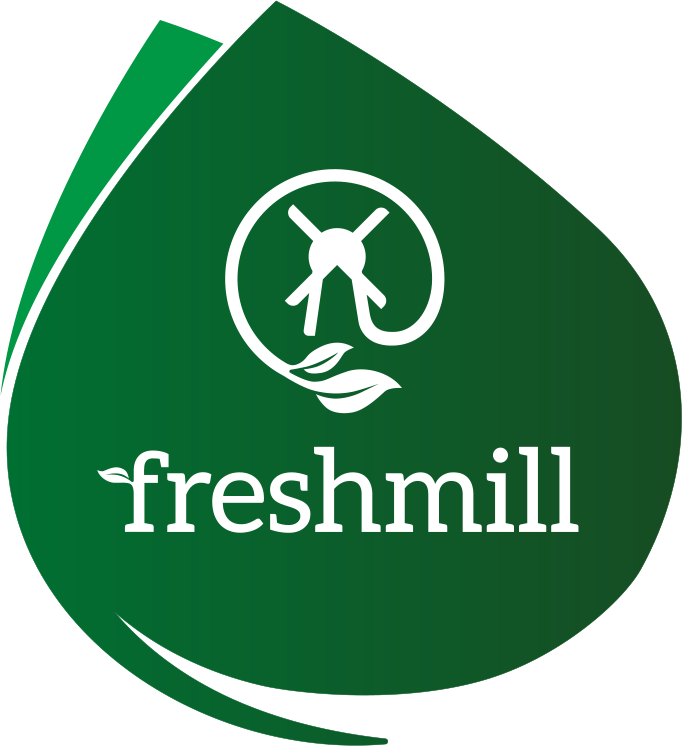 FreshMill Fresh organic milk is certified by European authorities, free of pesticides, hormones, preservatives and additive. 100% packed and produced in the United Kingdom. Never frozen, single pasteurised and high in nutrients. Revolutionary cold filtration keeps the nutrients in, and the nasty stuff out. Healthy kids, confident kids. From our family to yours.